The drink from which eggnog is derived is most likely the medicinal medieval "posset," milk mixed with wine or ale, and seasoned with nutmeg and cinnamon. 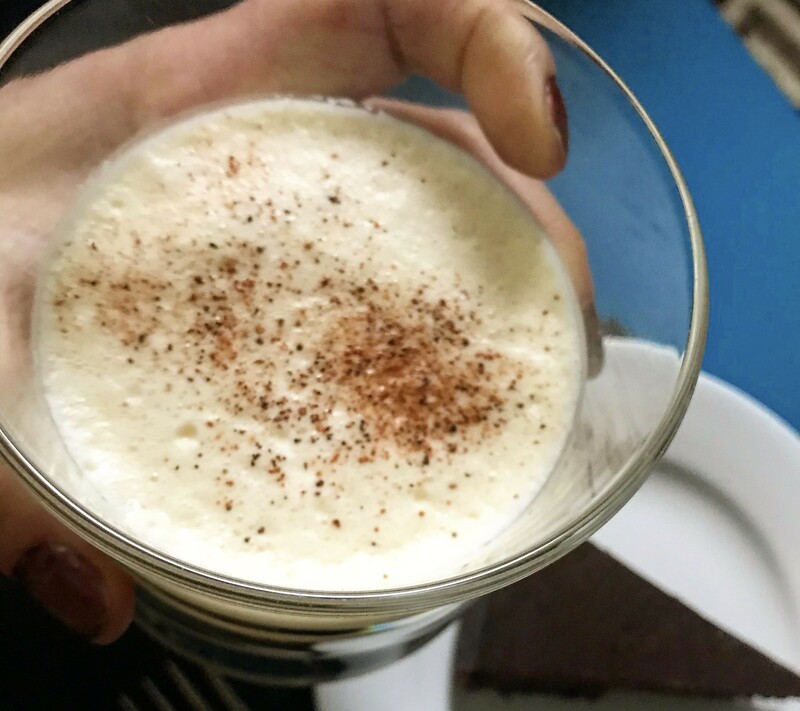 Nobody is exactly sure when eggnog got its name, but we do know that it was drunk in America during the 1700s, and that George Washington served an extra-boozy version — laced with brandy, rye whiskey, rum and sherry — to guests. I'll happily drink nog at any time of year, but it's a must around the winter holidays. You could go full George Washington, or try this variation. Reserving egg whites for later, whisk the egg yolks until lightened in color. Add milk, cream, 2/3 cup sugar, nutmeg and salt. Whisk until uniform in color and texture. Beat egg whites, along with 2 teaspoons sugar, to soft peaks. Stir into eggnog. Chill. The nog will be a bit foamy on top. *If you're not comfortable eating raw eggs or are concerned about your immune system, don't make this recipe!